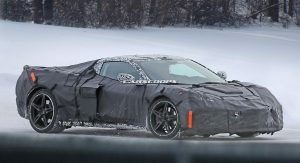 The Chevrolet Corvette C7 is an evolution of its predecessor but the next-generation model promises to be revolutionary. 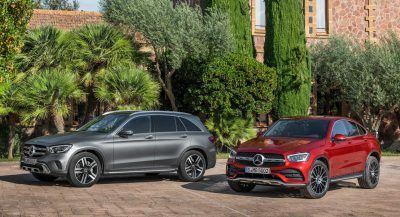 It’s widely known that the car is finally making the switch to a mid-engine layout but Car and Driver has compiled an assortment of tantalizing new details about the upcoming sports car. 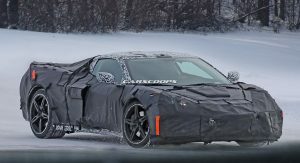 Despite the revolutionary new design, the Corvette C8 will reportedly ride on an aluminum space frame which could utilize some carbon fiber and magnesium to save weight. Unfortunately, the car is still expected to be heavier than its predecessor as it should weight over 3,500 lbs (1,587 kg). 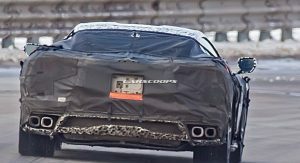 To cope with the added weight, the model is expected to be launched with an upgraded version of the LT1 V8 engine. The 6.2-liter engine currently produces 455 hp (331 kW / 451 PS) in the base model but the new engine is expected to develop around 500 hp (372 kW / 507 PS). 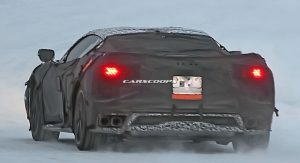 It will reportedly be connected exclusively to an eight-speed dual-clutch transmission which will allow the car to be faster than the C7 despite the weight gain. 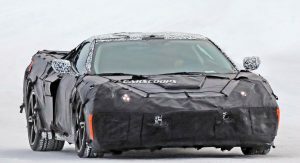 Sometime after the car is launched, the Vette is expected to receive a 5.5-liter flat-plane crank V8 engine that produces at least 600 hp (447 kW / 608 PS). Besides the extra power, the engine will reportedly have a redline that is a bit shy of 9,000 rpm. Of course, 600+ hp (447 kW / 608 PS) isn’t too impressive these days so Chevrolet is expected to offer a twin-turbo version of the aforementioned engine. This particular variant will reportedly produce around 800 hp (596 kW / 811 PS). Great until the fudge the interior.. but yeah.. pretty insane! 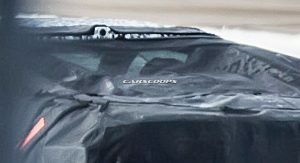 Looks very promising and supercar-ish..
They’ve done a great job with the newest Cadillac interiors so I hope it’ll be nice. Why on earth would GM develop a 5.5L flat plane crank V8 just for the Corvette? I do not believe any of this. 4 new engines for the mid-engine model? I think it will have an LT1, maybe with some upgrades, that is setup longitudinal midship. Later on, it will probably have something DOHC which is likely the same model with turbos. The rest is just wild speculation. For developed the flat plane V8 just for their GT350 models, so it’s not out of reason for Chevy to do the same. The fact that Ford did this is even more reason for Chevy to follow the same path. The GT350 got high praises for that engine, I’m sure Chevy would want some of that spotlight. Plus the look of the car and engine layout along with the flat plane would make it even more along the lines of a Farrari fighter. True! Because GM is always chasing someone else’s tail pipes and mimicking what they do. Except for the Flowtie of course. Groundbreaking! Can’t wait to see it naked. I hope all the hype won’t be for nothing. I have a really stupid dumb question. 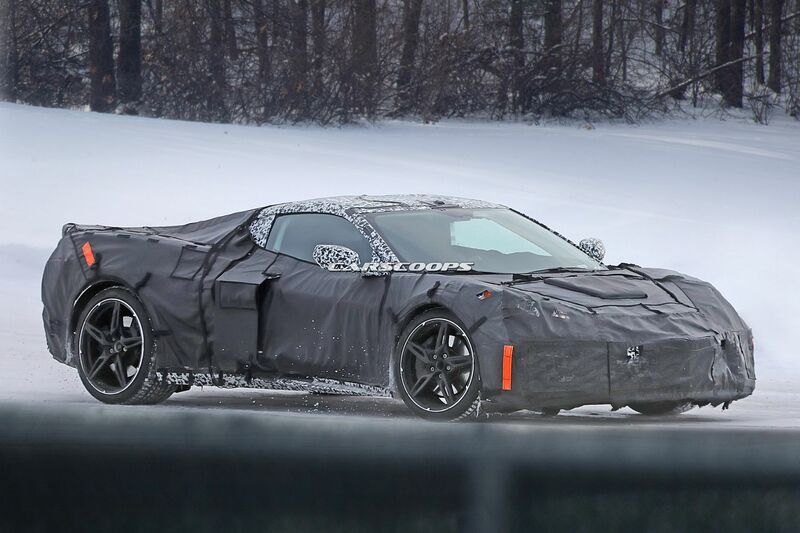 Will the C8 Corvette only come as a mid-engined vehicle? 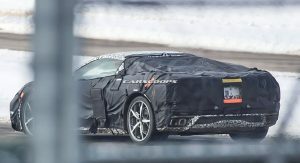 No more front engined Corvette? 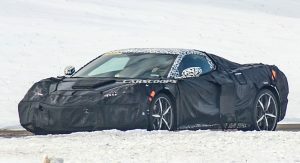 It’s Corvette Brand, please do recall that the C7 is called the Stingray, and the C8 will be called the Zora, with the Top TT V8+Electric front drive will likely be called the C8 Zora E-Ray. I think Factchecker is correct. 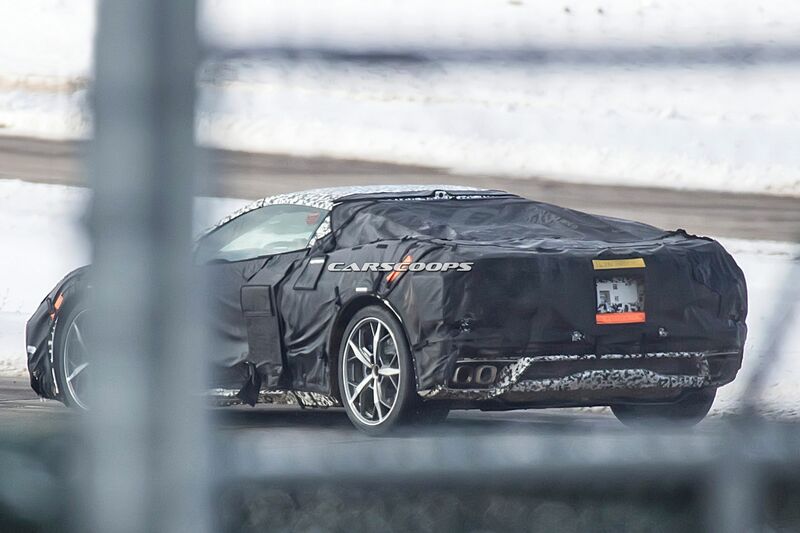 In addition, I’ve read the C7 will still be built along side the C8. 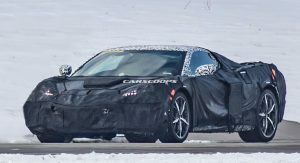 Essentially two Corvette models will be sold but in a couple of years or so, the C7 will disappear…… If what I read was correct. I really hope Corvette becomes a brand like factchecker says and that there will always be a front engine and a mid engine Vette for sale. Time will tell. Actually a smart question because that’s the question on everyone’s mind right now. Already missing the center mounted quad exhaust. I feel Chev really lack inspiration. The bulk of the Silverado’s body still uses steel, including high-strength steel, with a steel bed floor (which is a good thing). and isn’t Chevy going to start using a carbon fiber/composite bed for it’s trucks? 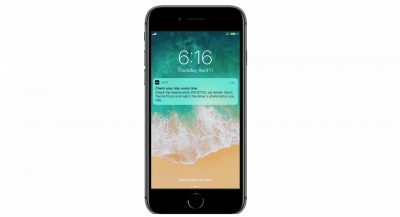 As light or lighter than aluminum but stronger and more dent resistant. I hope they bought an original NSX and ripped it apart to see how it all worked. If they could combine the user friendliness of the NSX with something considerably more hairy-chested, it could end being an extraordinary car. I’m not sure they tore apart an NSX but I do think think/hope they did what you’re suggesting. I think the C8 will be user friendly monster.